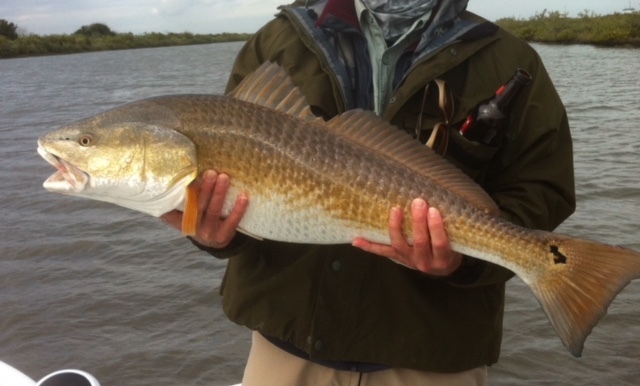 At the Tuesday, June 26, 2018 monthly meeting of the Texas Fly Fishers, Harris Dudley https://www.instagram.com/harrisdudley/?hl=en and Baron Boyette https://www.3bflycharters.com will be making a presentation about fly fishing for bull red fish in Louisiana in the winter. In that regard, both Harris and Baron are experienced fly anglers who have spent many hours fishing and guiding on the waters of Louisiana for bull red fish in the winter. There is no charge for admission and all are welcome at the meeting. So, if you are interested in learning more about the fly fishing world, if you are interested in watching some fly tying before the meeting or are just interested in socializing with a friendly group of fly fishing men and women come to the June 26, 2018 monthly meeting. We would be glad to have you and look forward to seeing you at the meeting. https://vimeo.com/282288270 is the correct link.